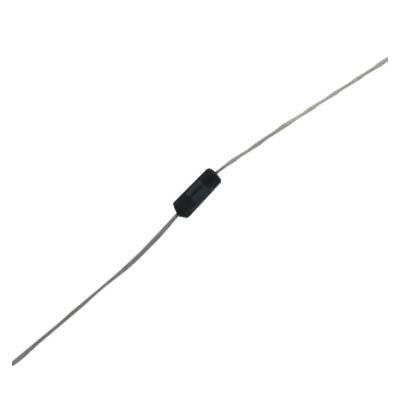 The Series 16B provides dual LED displays for local indication of process value and set point value. Output status, engineering scale, auto tuning and alarm status is also indicated on the front panel. Control methods include ON/OFF, PID, self-tune and manual tune. 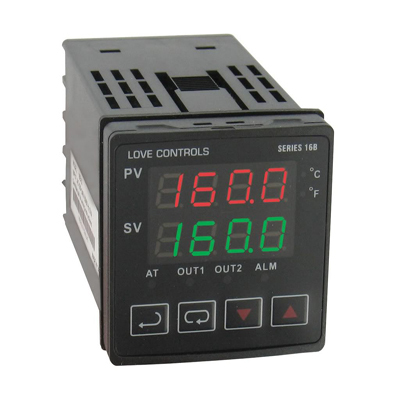 PID control is supported with 64 ramp/soak control actions. Two additional alarm outputs are standard on the Series 16B. The alarm outputs can be quickly configured by using the thirteen built-in alarm functions. The controller easily communicates with other external devices such as PC's and PLC's for data search and system integration using the built-in RS-485 interface. Up to 247 communication addresses are available with transmission speeds of 2,400 to 38,400 bps. The Series 16B also features universal input, selectable °F/°C, selectable resolution and security functions. Display: Two 4-digit, 7 segment, 0.25" high (6.35 mm) LED's. PV: red SV: green. Current: 4 to 20 mA. Communication: RS-485 Modbus A-5-11/RTU communication protocol. Weight: 4 oz (114 g). Agency Approvals: CE, UL, cUL.